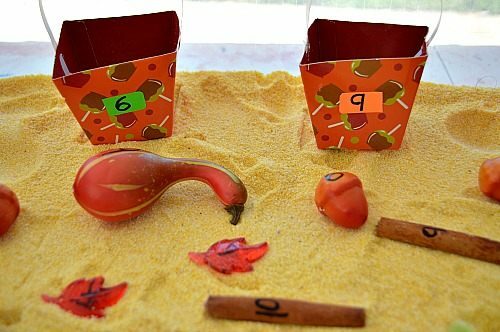 : Fall themed number recognition activities for older toddlers. Once again we are doing a themed learning activity! What’s not to love? Kids love the change of seasons and holidays and enjoy welcoming the new season. 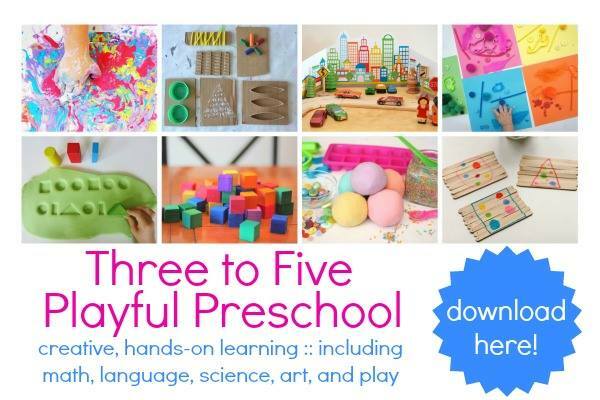 I take advantage of their natural curiosity and excitement over anything new ( in this case fall activities and crafts) and set up an easy sensory based math activities for kids – there are 3 of them. These math activities for kids are best suitable for children who are learning and practicing their numbers. 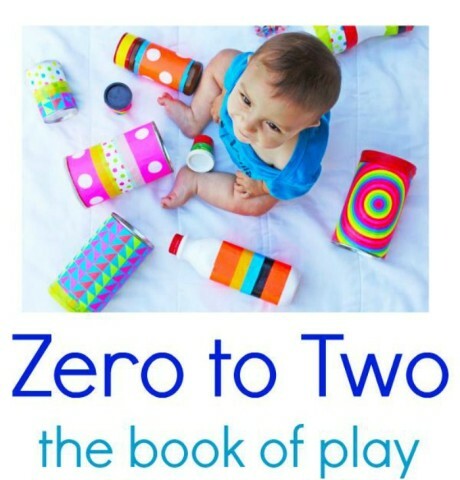 This kids activity can easily be adapted and can be done with materials you can have on hand. The following images will show the process. She was instantly attracted to the pastry brush and left the tongs alone! She pulled out the numbers, examined them and I showed her that she can use the brush to wipe off the cornmeal. Ooh that part became her favorite… She meticulously brushed off all her numbers while calling them out. Next step was to simply drop then in the bags. She was so excited to fill up her “baby bags” (that’s what she called them) with acorns and leaves. After we did the previous one a couple of times I knew which numbers were giving her trouble. To reinforce just those I set out another sensory bin on another day. 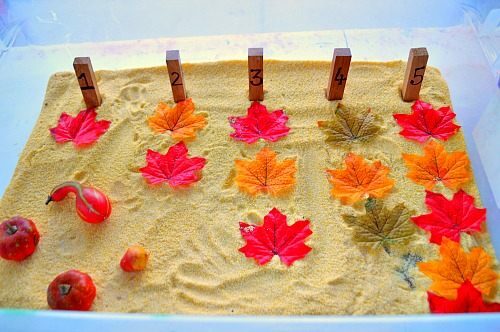 I wrote those numbers along with a variety of materials – cinnamon sticks, acorns, leaves and pumpkins& squash. My 3 year old was invited to play sorting in the sensory bin. Repeatedly picking up the numbers, examining them and sorting them helped her with her number recognition skills. 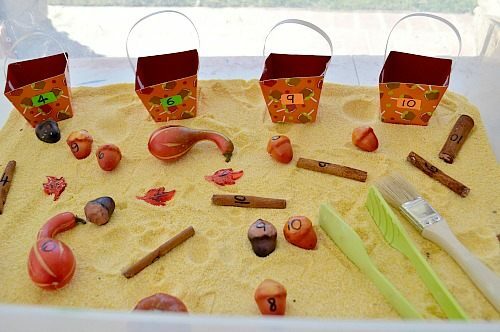 Notes: With access to fun stuff like corn meal (which is GREAT for sensory bins) and tongs, kids may want to just feel and play with the base. My 3 year did just that first. Once I let her explore the materials she voluntarily wanted to engage in the learning activity. For sensory activities where we used corn meal as the base click on the blue link. I pinned this to my fall boards. 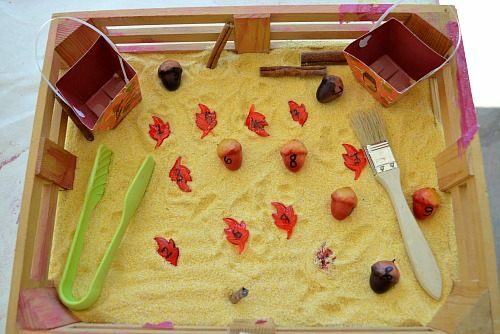 What great ideas for sensory play and more. I would love to have you stop by and share it at my sensory pin party live this week!